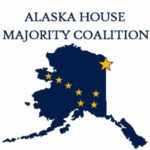 Juneau – The Alaska House Majority Coalition will continue to hold technical floor sessions in Juneau until the Fourth Special Session of the 30th Alaska State Legislature ends on November 21st. Juneau – With a vote earlier today, the Alaska State Senate jeopardized the stiffer criminal penalties included in Senate Bill 54 to respond to the recent spike in crime in Alaska. By refusing to fix constitutional problems with the bill through a conference committee, the Senate has guaranteed the bill will be litigated, which would leave in place the lenient sentencing guidelines included in last year’s omnibus criminal justice reform bill.